iOS is the Mobile OS from Apple and it works only with Apple devices like iPhone and iPad. DART is involved in iPhone application development services from the early stages of iOS SDK. 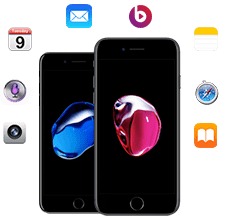 We at DART have a specialized team of iPhone experts who are highly skilled and possess experience in all the update to date feature of iPhone SDK required to develop iOS mobile apps. DART is a well known iPhone/iPad app development company providing professional and cost effective iOS app development services. Our team of iOS developers have experience in handling all kinds of iOS mobile apps from small to complex data driven iOS apps. By utilizing the latest tools and up to date technologies, our iPhone app experts deliver the below services. In order to provide professional, optimized and cost effective solutions to our customers. Our iOS team of experts have hands on experience in all the available iOS related technologies and APIs. This gives us variety of options to provide proper iOS solutions to our customers. We chose the technology based on requirement and that will add value to the customer on money , time and app performance. Got a iOS app requirement or idea, Contact Us to have a discussion.